You are not alone. Parents everywhere suffer in quiet desperation not knowing where to find help for their child or themselves when they are convinced something is very wrong. 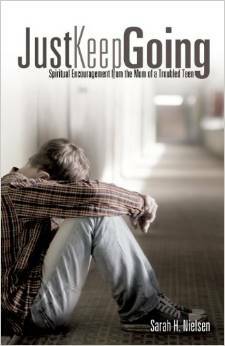 “Maybe this book will help your peripheral vision to see that God Himself is walking that path next to you, in front of you, behind you, with His hand on your shoulder saying, “This is the way, walk in it.” From the introduction of Just Keep Going.